 Canopy Mortgage is an Equal Housing Opportunity Lender. We recognize and respect the privacy expectations of our customers as well as the need to collect and use customer information in an appropriate and responsible manner. We collect, retain and use information about individual customers (as allowed by law) only when we believe it to be useful to our business operations or to provide products, services and other opportunities to our customers. We seek to ensure that a customer’s financial information is accurate, current and complete. We have procedures in place to respond to requests to correct inaccurate information in a timely manner. Our employees have access to personally identifiable customer information only if they have a business reason for knowing such information. The importance of confidentiality and customer privacy is emphasized to our employees and appropriate disciplinary measures are taken to enforce employee privacy responsibilities. We maintain security standards and procedures regarding unauthorized access to customer information. We do not share personally identifiable customer information with unaffiliated third parties except as necessary to operate our business, comply with applicable laws and regulations or make available products, services and other opportunities to our customers. If we share personally identifiable customer information with an unaffiliated third party as part of our business operations, we require the third party to maintain the confidentiality of the customer information. We appreciate your business and look forward to continuing to provide you with the finest financial products and services available. If you have questions about these privacy principles or your account, please call 877-905-0005.